Investing in small-cap stocks has historically been a way to outperform the market, as small-cap companies typically grow faster on average than the blue chips. That outperformance comes with a price, however, as there are occasional periods of higher volatility. The time period since the end of the third quarter is one of those periods, as the Russell 2000 ETF (IWM) has underperformed the larger S&P 500 ETF (SPY) by about 4 percentage points. Given that the funds we track tend to have a disproportionate amount of their portfolios in smaller cap stocks, they have seen some volatility in their portfolios too. Actually their moves are potentially one of the factors that contributed to this volatility. In this article, we use our extensive database of hedge fund holdings to find out what the smart money thinks of Universal Corp (NYSE:UVV). 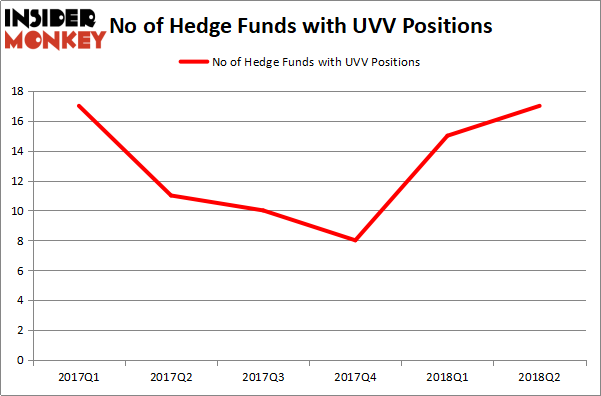 Hedge funds clearly like some of the recent signals they’ve been seeing from the company, as hedge fund ownership of UVV more than doubled during the first half of 2018. Universal Corp (NYSE:UVV) certainly has an impressive dividend going for it, which is currently yielding 4.38%. UVV has paid out a dividend for 48 straight years, which gave it a top 10 finish on our countdown of the 25 Best Dividend Stocks for Retirement. How are hedge funds trading Universal Corp (NYSE:UVV)? At the end of the third quarter, a total of 17 of the hedge funds tracked by Insider Monkey were bullish on this stock, a 13% rise from one quarter earlier. The graph below displays the number of hedge funds with bullish position in UVV over the last 6 quarters. So, let’s check out which hedge funds were among the top holders of the stock and which hedge funds were making big moves. 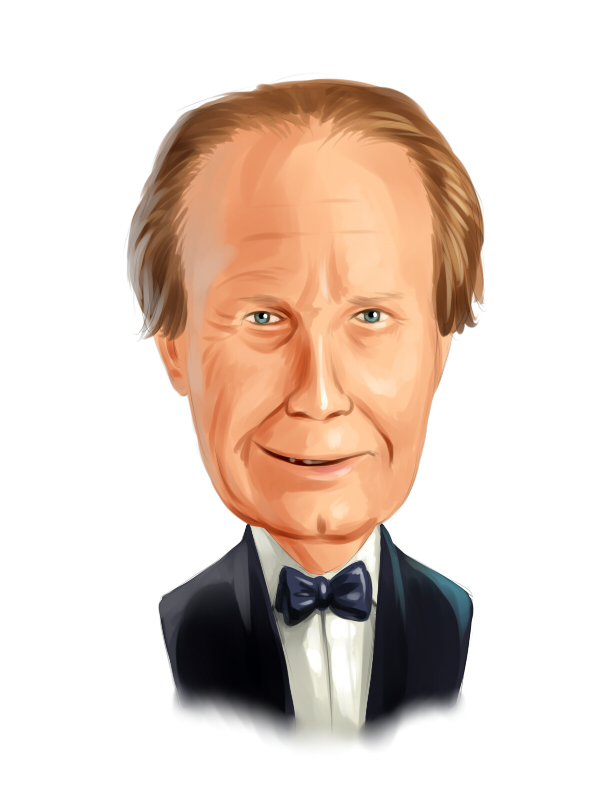 According to publicly available hedge fund and institutional investor holdings data compiled by Insider Monkey, Richard S. Pzena’s Pzena Investment Management has the most valuable position in Universal Corp (NYSE:UVV), worth close to $42.6 million, accounting for 0.2% of its total 13F portfolio. Sitting at the No. 2 spot is Renaissance Technologies, managed by Jim Simons, which holds a $19.3 million position; the fund has less than 0.1% of its 13F portfolio invested in the stock. Some other hedge funds and institutional investors that hold long positions include Peter Muller’s PDT Partners, Peter Algert and Kevin Coldiron’s Algert Coldiron Investors and Chuck Royce’s Royce & Associates. As industry-wide interest jumped, key money managers have jumped into Universal Corp (NYSE:UVV) headfirst. Algert Coldiron Investors had $0.4 million invested in a new position in the company at the end of the quarter. Royce & Associates also made a $10.6 million investment in the stock during the quarter. The following funds were also among the new UVV investors: Glenn Russell Dubin’s Highbridge Capital Management, Matthew Hulsizer’s PEAK6 Capital Management, and Noam Gottesman’s GLG Partners. Let’s check out hedge fund activity in other stocks similar to Universal Corp (NYSE:UVV). These stocks are Wins Finance Holdings Inc. (NASDAQ:WINS), Kulicke and Soffa Industries Inc. (NASDAQ:KLIC), Evolent Health Inc (NYSE:EVH), and Agree Realty Corporation (NYSE:ADC). All of these stocks’ market caps are similar to UVV’s market cap. As you can see these stocks had an average of 12 hedge funds with bullish positions and the average amount invested in these stocks was $116 million. That figure was $110 million in UVV’s case. Kulicke and Soffa Industries Inc. (NASDAQ:KLIC) is the most popular stock in this table. On the other hand Wins Finance Holdings Inc. (NASDAQ:WINS) is the least popular one with only 1 bullish hedge fund positions. Universal Corp (NYSE:UVV) is not the most popular stock in this group but hedge fund interest is still above average and rising rapidly, so this could be a stock to watch out for; shares have gained 21.7% since August 6.